Between Penticton and Summerland there is a small fruit stand on the side of Hwy 97 that sells everything delicious in season. Blossoms is open daily from 8am till 7pm and has the freshest of what's in season much of it grown onsite. 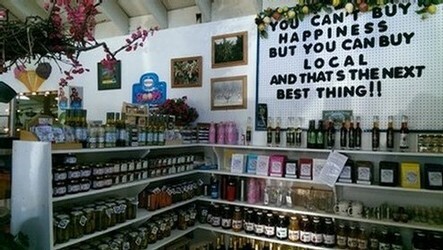 Known for their home grown peaches, they also have an excellent selection of jams, jellies, dressings and sauces. All locally produced. Their friendly staff are there to help you with your canning needs, orders for fall root vegetables or just a scoop of yummy ice cream on a hot day. Stop by and say hello to Melinda and the staff, we are sure you will find something you like. Covert Farms has always been a busy place, but in the last few years there is a whole lot going on such as: Farm Field Dinners, an event called the Freakin Farmer, Wine tastings, U-pick fruits and vegetables. As well home delivery is available so that you can get the freshest vegetables delivered right to your door. They even have summer camps for young farmers. All of these things add up to a whole lot of activity going on. And it is all organic. Tucked up above the north end of Oliver is a hidden gem of the Okanagan. Covert Farms, at the foot of McIntyre Bluff is a 600 acre terrace that has been growing organic produce since 1959. 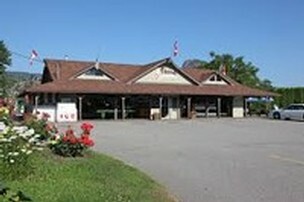 A large organic farm and country market that features in season organic produce fresh from the farm, in the setting of beautiful vegetable and flower gardens, a patio and playground. 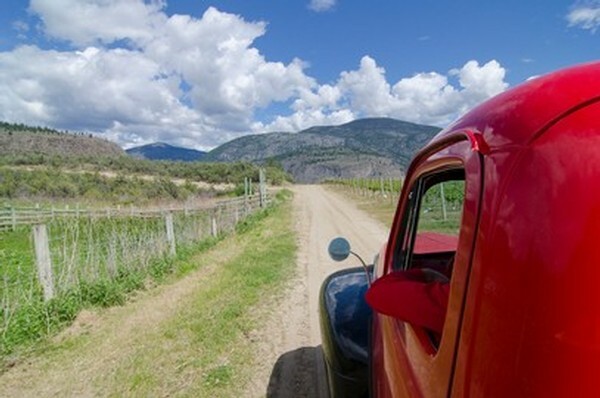 Those who love recreation dually appreciate the location of Covert Farms, as it is positioned at the gateway to the iconic Okanagan Landmark, McIntyre Bluff, and makes a great place to picnic after a bike ride or hike. Covert Farms is about tasty and healthy food and the relationships that are necessary to bring that about in a sustainable way. The relationships of the land are many and complex and most have yet to be discovered. As these complex relationships are discovered so is interest, intrigue, humility and of course great food. Good food is not just about taste. It's not just the nutrient value. It’s about life, learning and exploration. Visit Covert Farms, explore; learn about your food; and experience a place bustling with life and diversity. Try Pick-your-own. Friendly staff in the fields can assist you with your selections and guide you if you so choose. Over 40 different crops to try and experiment with. If you don’t care to pick, they have harvested produce in their market. Most crops are available till mid-October or till first frost. Looking for more one-on-one. Take a guided tour with a farmer. Explore the vineyards, fields, and the special places around the area in a vintage 1952 Mercury Truck. The tour ends with a private wine tasting accompanied by small bites from the kitchen. Max 10 people per tour. 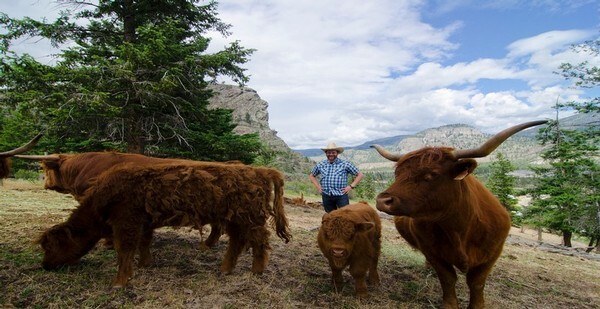 The Sloan Family has been farming along the east shore of Skaha Lake for over 50 years. They take pride in producing quality fruit picked fresh for you each day. They invite you to relax under the grape arbor with a juicy peach or a crisp apple... why not try their ice cream, fresh fruit smoothie or ice cold apple juice? Take in the beauty of the area and share their love and passion for farming.